The Palais Galliera is paying homage to the couturier Cristobal Balenciaga (1865-1972) with an extra-mural exhibition at the Musée Bourdelle entitled : 'Balenciaga, l'oeuvre au noir'. The exhibition resonates with the black tones of an alchemist of haute couture : variations of black repeated in over a hundred of pieces from the Galliera collections and the archives of Maison Balenciaga. This exhibition opens the Palais Galliera’s Spanish season, which will continue with 'Costumes espagnols entre ombre et lumière' (‘Spanish costumes from dark to bright’) at the Maison de Victor Hugo (21 June - 24 September 2017) and will finish with 'Mariano Fortuny' at the Palais Galliera (4 October - 7 January 2018). The Palais Galliera pays a tribute to Cristóbal Balenciaga (1895 – 1972), the most “Couture” of Couturiers, with an exhibition at the Musée Bourdelle entitled “Balenciaga, l'oeuvre au noir”. The exhibition resounds with a black harmony of an Haute Couture alchemist. Black motivated Balenciaga : the backbone of his work was inspired by the folklore and traditions of his Spanish childhood. Black was this exceptionally skilled tailor's preference. 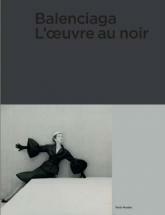 Black was a monastic influence on the master, about whom Dior once said: “Clothes were his religion”. Balenciaga saw black as a vibrant matter whether it be opaque or transparent, matt or shiny - a dazzling interplay of light, that owes as much to the luxurious quality of the fabrics as to the apparent simplicity of the cut. A lace highlight, embroidery, guipure, a heavy drape of silk velvet and, hey presto, you have a skirt, a bolero, a mantilla, a cape reinvented as a coat, a coat tailored as a cape… …Every piece is magnificent, from day clothes to cocktail dresses and sumptuous evening outfits lined in silk taffeta, edged with fringes, decorated with satin ribbons, jet beads, sequins… more than hundred couture variations of black are the treasures of the Galliera collections and the Maison Balenciaga's archives. The exhibition is located in the Musée Bourdelle where the sculptures mirror the pure sculptural effect of Cristobal Balenciaga's stunning creations.